In the months leading up to Spectre's release, there had been plenty of speculation that this movie will be Daniel Craig's last as James Bond. 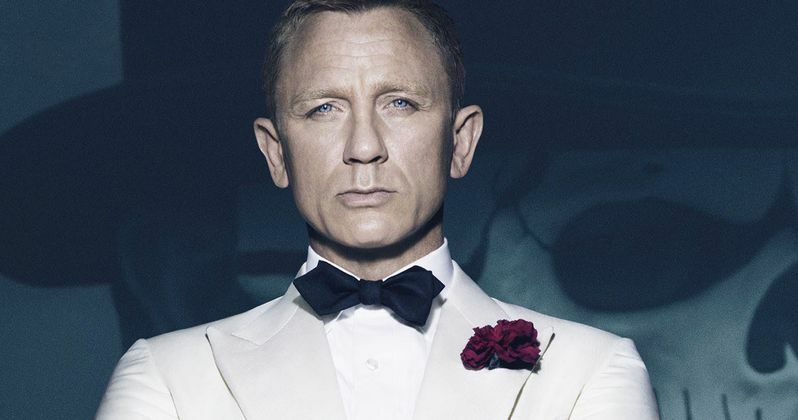 Back in September, Daniel Craig said that he "can't even conceive" of playing 007 again. Then in October, he called the iconic spy a "misogynist," adding more fuel to the rumors that he wasn't returning for any more 007 adventures. While nothing has been made official by Sony Pictures, MGM or the franchise's production company EON Productions, Daniel Craig's longtime friend and The Brothers Grimsby star Mark Strong claims in a recent interview with The Short List that Daniel Craig is done with the franchise. "Do you know what, I'd have loved to have played the villain in a Bond movie while Daniel was doing it because he's a pal and that would have been great. But I think he's come to the end of his Bond time and so it's probably never going to happen, but that would have always been great. Having played so many villains, it would have been wonderful to have done the villain of villains, if you like. Because a Bond villain has a status all of his own." A decade before Daniel Craig first played 007 in 2006's Casino Royale, he starred in the British TV series Our Friends in the North with Mark Strong. Ironically, Mark Strong himself plays a much different kind of spy in The Brothers Grimsby, which hits theaters on March 4. When asked if he would try to talk Daniel Craig into playing the super-spy one more time, Mark Strong had this to say. "Well, I will try, believe me, I will do my best. But there are powers at work greater than us who make all these decisions. He has been [wonderful] and he's loved it. But I think he feels like he's mined it. He's done what he wants with it. That point has come." Daniel Craig debuted as Bond in 2006's Casino Royale, followed by 2008's Quantum of Solace, the 2012 blockbuster Skyfall and last year's Spectre. While Spectre wasn't a failure by any means, with just under $200 million domestic and $879 million worldwide, it still falls short of Skyfall's $304.3 million domestic take and $1.1 billion worldwide box office haul. What do you think about Daniel Craig leaving the Bond franchise?